If you haven’t seen his final two videos yet, you can see them above. The first is his formal video announcement, and the second is a list of things he’s putting up for sale on his site. – He’s leaving Nerf and the hobby. – He’s got personal reasons for that, but he won’t tell us about them or elaborate more then that. – However, he also says that he lost interest in Nerf as a hobby. 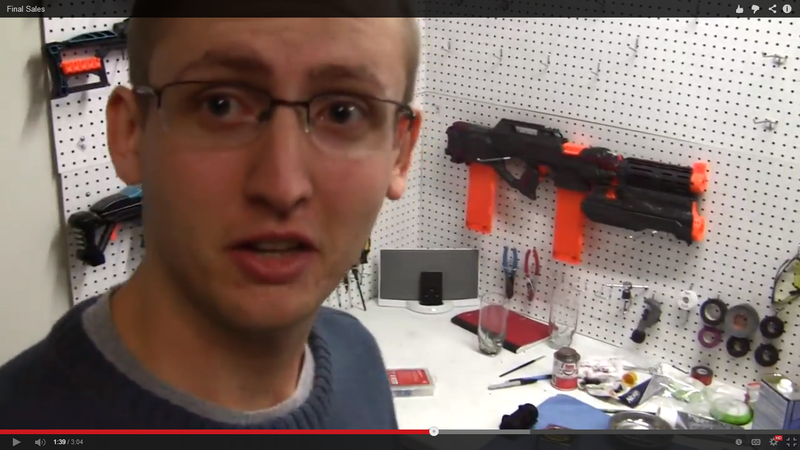 But he doesn’t regret getting into Nerf, and that he’s learned a lot from it. – He also says that he’s not going into Paintball or Airsoft as far as he can see. – He’ll leave his Youtube channel up, but won’t answer emails or comments. – He’ll look at uploading an update video in about 6 months time. – But he also plans on deleting his Facebook page in about 6 months as well. – In the sales video he mentions that he’s moving somewhere, but isn’t specific on where. In the first video, he mentions that he is a student. We all know that school and education are important for many people in life, so sometimes you must make that a priority over hobbies and things such as Nerf. Now in the thumbnail for the second video above, you can see he looks sad and emotional. There’s a screenshot below from the video at a different point in the video. He eyes are red and look shiny and glazed over. He’s obviously been crying, or at the very least feeling emotional around the time of the video recording. His voice also cracks a few times and he had a little bit of trouble holding a steady tone and controlling it. I think he recorded the goodbye announcement video first, and then the sales one second. His sadness, or emotion, in the second video leads me to believe that some crazy circumstances or much, much more important things are calling for his attention and time. 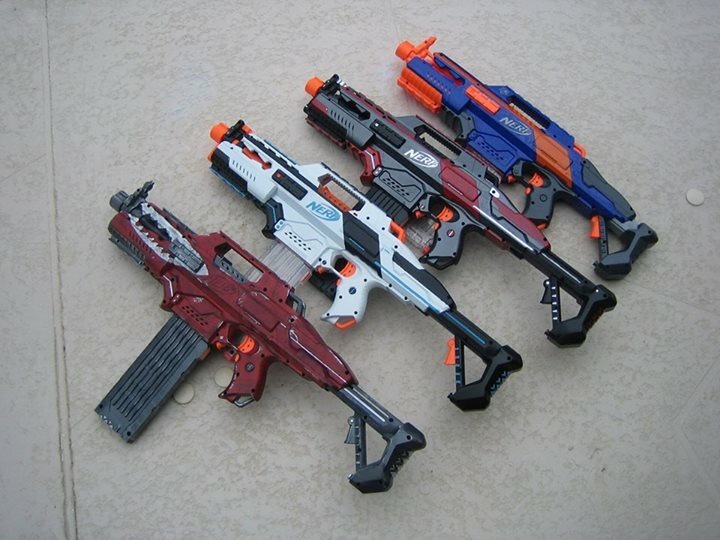 Coop might have to leave Nerf completely to give these things the appropriate time and attention that they need. Also because he is emotional, I still think that he still has emotions, feelings, and interest in Nerf a bit. In the end, this is still speculation. We won’t exactly know why he left unless he himself elaborates more. Whatever the case is, we should respect his decision. Us Nerfers should be thankful to Coop772 for all the modifications, guides, reviews, and videos he’s been giving us and contributing to the NIC for these years.